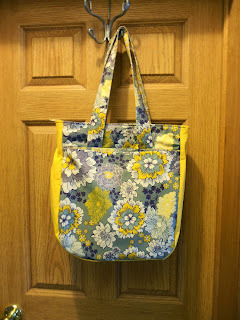 Chair in the Shade: Finished Project- Super Tote! So, I mentioned a few weeks ago that I had bought Noodlehead's Super Tote pattern when it was on sale after Thanksgiving. Then on Wednesday I showed my progress in cutting out all the pieces. Well, I finally finished it today! I got the fabric for the interior, exterior and sides from Joann's a few months ago, with no specific plan in mind, but it was just enough for this pattern and I really liked how it turned out. Originally, I had planned on using a purple fabric for the side panels, but it just wasn't quite the right hue, so I had to go with this yellow. 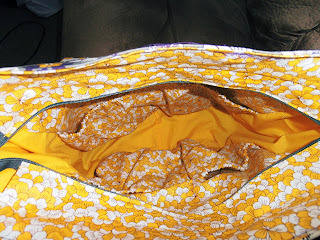 I'm not super impressed with the quality of the yellow fabric, but I didn't have time to find anything else. I think it will hold up alright though. Recessed zipper and elastic pockets. The zipper was way easier to install than I thought it'd be and I'm so glad I didn't chicken out and make it without a zip. Better view of the pockets. 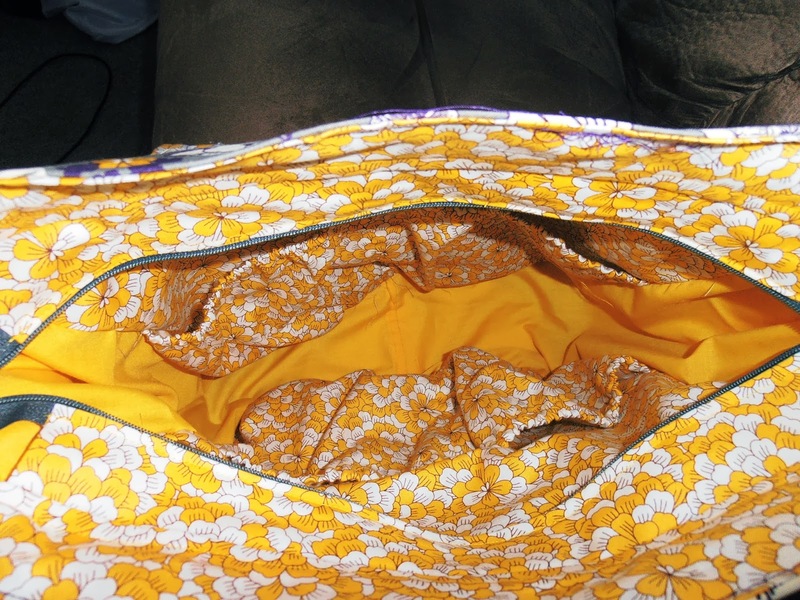 I like tote bags, but I always wish they had functional pockets. Well this pattern does! 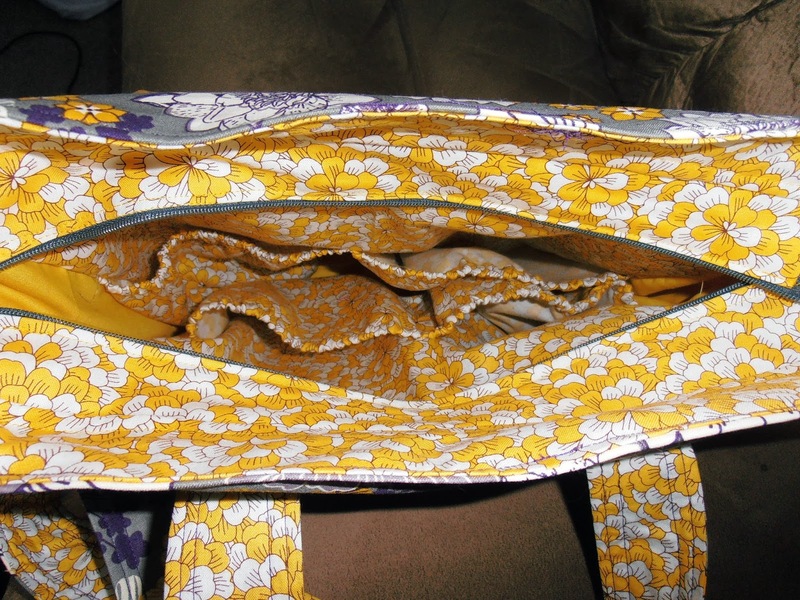 They're deep, and have elastic across the top to make them hold all your things in place.